Did Turkish Pres. Erdogan Make a Historic mistake in dumping Peace Process with Kurds? UPDATE ON TUESDAY JULY 28: Turkish President Recep Tayyip Erdogan said on Tuesday that Ankara could not continue the peace process with the Kurds amid continuing attacks against Turkish targets. As Turkish and U.S. officials reportedly worked on a plan to create a safe-zone by sweeping Islamic State militants from a section of northern Syria along the Turkish border, Turkey opened up a second front — on Kurdish rebel (PKK) sites — over the weekend. NATO ambassadors will meet Tuesday, at Turkey’s request, to address the spike in violence among Turkey, ISIS and the PKK. Turkish Prime Minister Ahmet Davutoğlu declared, over the weekend, that a “new process: (süreç) has started. The old “process: was a peace process with the Kurdistan Worker’s Party (PKK). The weekend airstrikes followed the killing of two Turkish policemen by PKK militants last week. The PKK claimed responsibility for the revenge killing; they blamed lax Turkish security measures for an ISIS suicide bombing of leftist youth activists last week in the Kurdish town of Suruc. It was Turkey’s first aerial raid in northern Iraq against the PKK since Turkey embarked on peace talks with PKK leader Abdullah Öcalan (serving a life sentence in a Turkish prison); throwing into doubt a fragile ceasefire between Kurdish separatists and Turkey in place since 2013. In addition to conducting raids on ISIS and Kurdish targets, Turkey has also detained several hundred suspected IS and PKK militants and other extremists inside the country. Turkey has become increasingly concerned that gains made by Kurds in Iraq and in Syria could encourage its own Kurdish minority to seek independence. 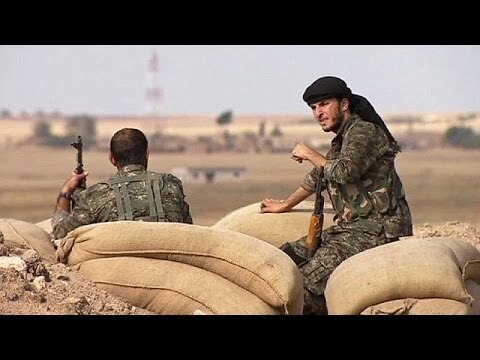 Kurdish rebels released a statement on July 25, 2015 following the airstrikes that the conditions for observing the truce had been “eliminated”. The PKK’s military wing, the HPG, denounced this “aggression of war” by Turkey and vowed “resistance”. It described the bombings in northern Iraq as the “most serious military and political error” by Erdogan and his ruling Justice and Development Party. Turkey’s pro-Kurdish party, the People’s Democratic Party (HDP) said the strikes ended the two-year-old truce, and the party as called on the AKP to stop the bombing campaign and resume a dialogue with the Kurds. “The need for political compromise to solve Turkey’s long festering Kurdish issue has never been more pressing for the ruling party and the opposition pro-Kurdish People’s Democratic Party (HDP),” he said. Kubilay Yado Arin is a Visiting Scholar at Duke University’s Middle East Studies Center (July 2015 – June 2016). A Kurdish scholar, his research focuses on conservative think tanks in the US and Turkey, US-Turkish relations, EU and US foreign policy towards the Middle East. Previously he was a Visiting Scholar at Middle East Technical University and Portland State University (PSU). In January and February 2015 he started postdoctoral research on his current book project “Think Tanks in Turkish Foreign Policy” at UC Berkeley and at PSU, which he plans to continue at Duke’s Middle East Studies Center. This year I.B. Tauris will publish his book on “Turkey, the US and the EU: The New Foreign policies.” If interested in these and other of his publications, visit his website.